Nine types of beans purchased from a bulk barn were pressure cooked and blended into a mash and stored in plastic containers.They are frozen and used as required. I use them as a reasonable replacement for meat by re-frying or ingest as they are. They are inexpensive and simple to prepare. Pictures depict the process. That is a good idea and a time saver in what you have done. During the summer months I prepare lots of homemade refried beans to go with tortillas and grilled chicken, in winter lots of spicy bean soup and cowboy beans with smoked sausages. I traded my large chest freezer for a new air conditioner for the farmhouse, all I have now is an upright freezer so don't have a lot of room to do something like you have done. Not a bad idea for convenience. I like dried beans and have a variety to cook. Last beans I bought was new to me. Costly I feel but wanted to try. The bulk store not cheap in big city. Pintos seem to be the cheapest. Beans are not complete protein except soy beans. I do my beans differently. I do not mix them. I try to have a good recipe for each kind so not same old thing. I like a little meat in my beans. I cook in big amounts and freeze to meal size for me. Just me to feed. 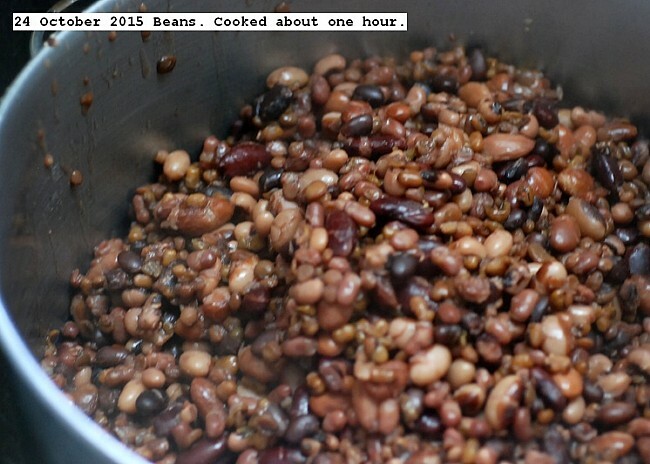 Bean here take time to cook. Then I have a choice in the freeze to eat. So they taste different. Does not that way seem so much a bean diet. Even when I did not have a freezer I cooked just for family and did a variety. think I have been able to find about dozen kinds of beans in the stores. . Plus I have lentils and split green peas. Several kinds of rice and barley and quinoa. Jean your beans sound good. I have to go easy on spicy but I like it. I like chili and still make but milder. I like flat bread I learned to make better than tortillas. My son said he did too. I share it with him. 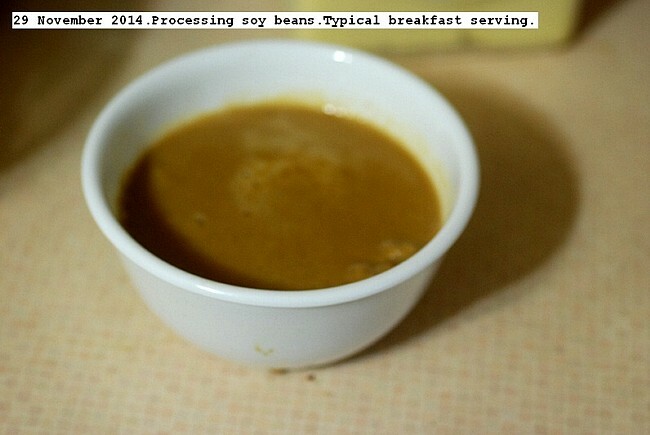 I process the soy beans alone and always eat a bowl for breakfast.